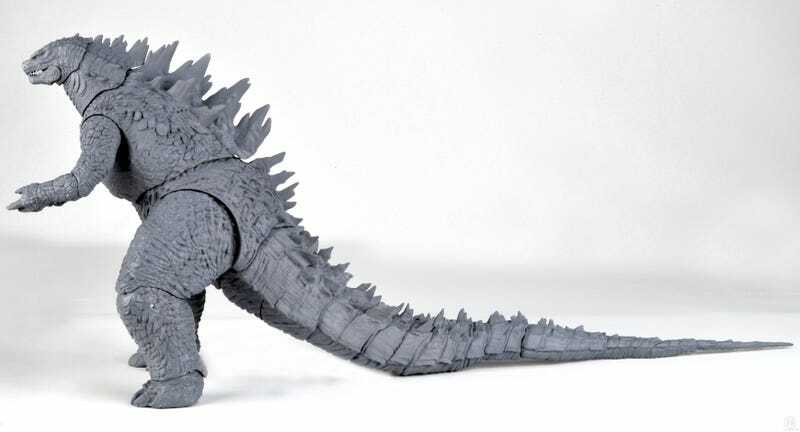 As it is with most modern movies, the first good look we're getting at the star of the upcoming Godzilla flick is via an action figure. Sure, we've seen glimpses in the trailers, but nothing this crisp and clear. And...he looks pretty good! Very similar to his original design, though obviously with some changes, most notably the fact he has Chun-Li thighs and/or a tiny Mario Bros. movie head.